Provide a dynamic and scholarly environment wherein students learn independently and in collaboration with others to develop a disciplined as well as innovative approach to their careers as professional engineers, researchers or teachers. Ensure that every student is aware of the role and responsibilities of the engineer in society through the appropriate exposure to ethics, equity, public and worker safety and health considerations, together with the concepts of sustainable development and environmental stewardship. 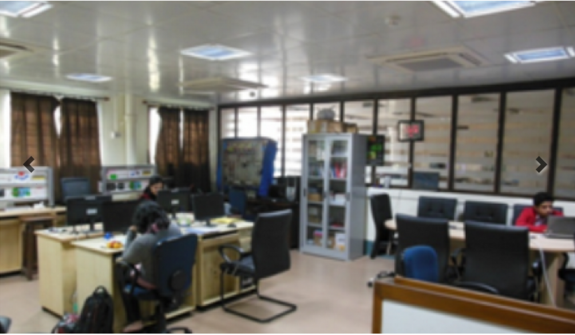 The Department of Electrical Engineering at IIEST Shibpur, is one of the best in the country providing a dynamic and scholarly environment wherein students learn independently and in collaboration with others to develop a disciplined yet innovative approach to their careers as professional engineers, researchers or teachers. The department offers 10-semester dual degree (B. Tech. and M. Tech.) course and 4-semester postgraduate M.Tech. degree course in Electrical Engineering. The department also offers research programmes leading to Ph.D. degree. The department came into being in 1912-13 and produced its first batch of graduate electrical engineers in 1936 in the erstwhile Bengal Engineering College, Shibpur. Post-independence, when the nascent nation had just started building the power plants that have been instrumental in realizing the dreams of modern India, many of the visionaries, planners and implementers were the students of this department. The postgraduate degree was first offered in 1955 and the first Ph. D. Scholar from the department came out in 1959.